When Walt Disney died, the studio went into a creative lockdown. The mantra "What Would Walt Do" comforted the old-timers, but it shackled the up-and-comers who wanted to take big risks on new approaches to animation. Into this sleepy studio walked Steve Hulett, whose father Ralph had been an artist at the studio for nearly four decades. Hulett was hired as a storyman during a transitional time in the company's history, when Walt's spirit was receding and Hollywood kingpins Michael Eisner and Jeffrey Katzenberg were taking over. 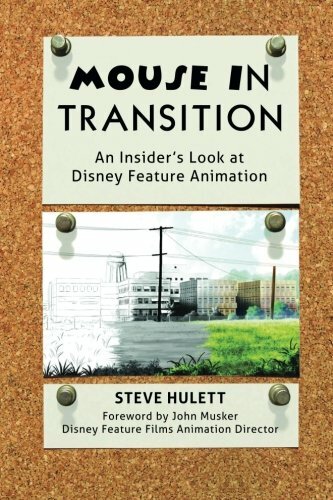 Hulett's wit and dry humor, coupled with his first-hand accounts of working side-by-side with Ken Anderson, Woolie Reitherman, John Lasseter, and Little Mermaid co-director/writer John Musker (who wrote the foreword), provides unique and unprecedented insight into the rapidly changing Disney Studio of the 1970s and 1980s.